Norval was born August 13, 1931 in Cincinnati, Ohio, the son of the late Theodore Anderson Copeland and Helen Elizabeth Taylor MacBrair. He grew up in South Gate, Kentucky and was a graduate of Highlands High School, Ft Thomas, KY. He graduated from the University of Kentucky, Lexington, KY in 1953. In 1969 he graduated from Columbia University, NYC with masters in Hospital Administration and English. Before college graduation Norval served with the Air Force in Northern Africa during the Korean War. A former member of the Screen Actors Guild, he started as an actor and was in a couple of movies, acting with Shirley Jones, Pat Boone and Sophia Loren. He worked at several hospitals in Administration including Einstein and Roosevelt in NYC. He was VP at Children’s Hospital in Philadelphia, VP of Mercy Hospital (now Provena Covenant Medical Center) in Champaign, IL and retired in 1996 as President of Riverside Hospital (now Christiana Care Health System) Wilmington, DE. He was a devoted member of The Church of the Holy Trinity in Philadelphia. 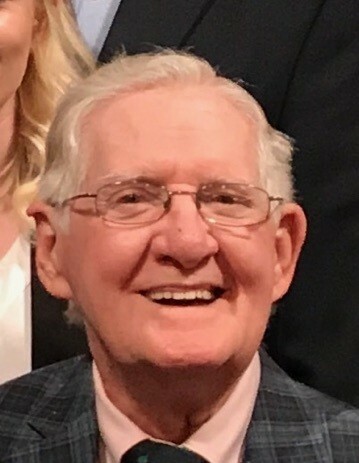 He held memberships in Phi Sigma kappa, University of Kentucky Alumni Association, supporting member of The Metropolitan Opera Guild, Friends of Curtis, The Philadelphia Orchestra and The Philadelphia Museum of Art. He is survived by his husband, Craig Bailey (married Oct 17, 2013) spending 37 years together. He is also survived by his daughters Victoria Elizabeth Catherine Copeland of Indianapolis, IN and Louise Alexandra Mary Copeland Smith (Simon) of Long Beach, NY. He leaves 8 nieces and nephews and a few cousins to mourn his loss. In addition to his parents, Norval was preceded in death by an infant sister. Norval enjoyed the opera, theater, art, orchestra concerts and art museums. Every place he visited he went to the local art museum. He especially loved cocktail hour in the backyard with family and friends. He was a friend to everyone he met. Burial will be at Washington Crossing National Cemetery in Pennsylvania.